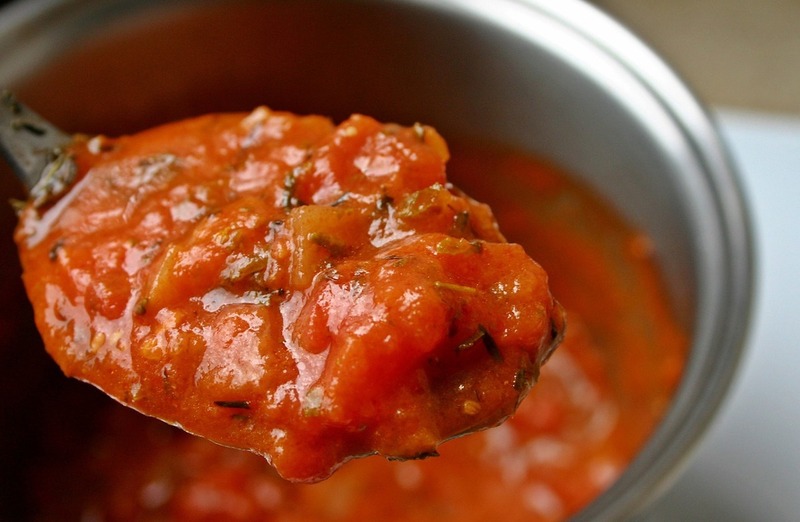 Tomato sauce is a staple in every kitchen pantry. Whether it's the foundation for a casserole, or a base of a pizza, it's always great to have on hand. This is a very easy, tasty and fresh tomato sauce that makes a great replacement for sugar and preservative filled store bought brands. I often buy boxes on boxes of organic, home grown tomatoes at the Farmers Market for a very good price and use them to make this Italian inspired recipe in bulk. 1. In a large saucepan, heat your olive oil. 2. Crush your garlic and add to the hot saucepan. Saute for 2-3 minutes. 3. Add all other ingredients, cover, and reduce heat. Simmer for 30 minutes. 4.Enjoy as part of your favorite meal! Need inspiration? Try making this DIY pizza, or throw over a big bowl of zucchini noodles.